Professor Sajjad Naseer of the Lahore School of Economics participated in a workshop on ‘Building Trust’ in a government and presented a review paper on South Asia in a conference that was held in Honolulu, Hawaii, USA from 28-31 January 2008. Professor Sajjad Naseer (Political Scientist) is a political analyst, commentator and compere, who gives his views on television and also delivers guest lectures at the prestigious academic and professional institutions. 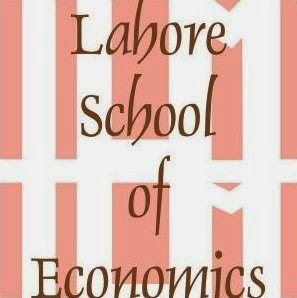 A team of 15 Senior Managers from ICI Pakistan Ltd. including a few Alumni of the Lahore School who are now working with them visited Lahore School of Economics on February 12,2008 and gave a presentation to the graduating MBA and MSc Economics classes on their Graduate Recruit Program 2008. Dr. Azam Amjad Chaudhry, the Dean of Economics and Professor F. A. Fareedy also attended the presentation. The presentation was followed by an on campus test for their Graduate Recruit Program. A team of 12 Senior Managers from Procter and Gamble Pakistan including the Alumni of the Lahore School who are now working with the Company visited Lahore School of Economics on February 7, 2008 and gave a presentation on their Internship Program 2008. The presentation followed by an on campus Problem Solving Test.